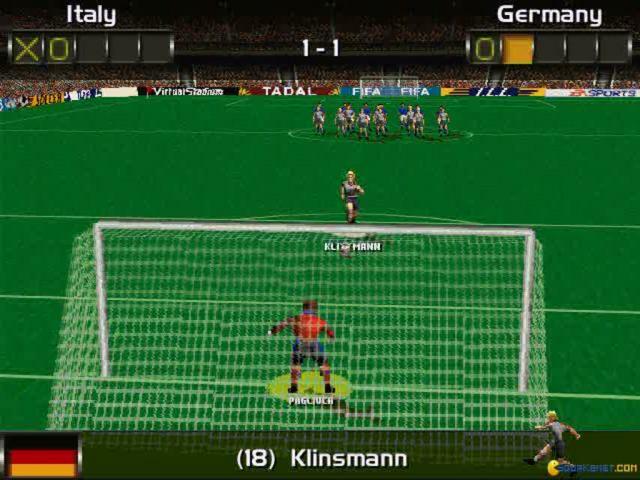 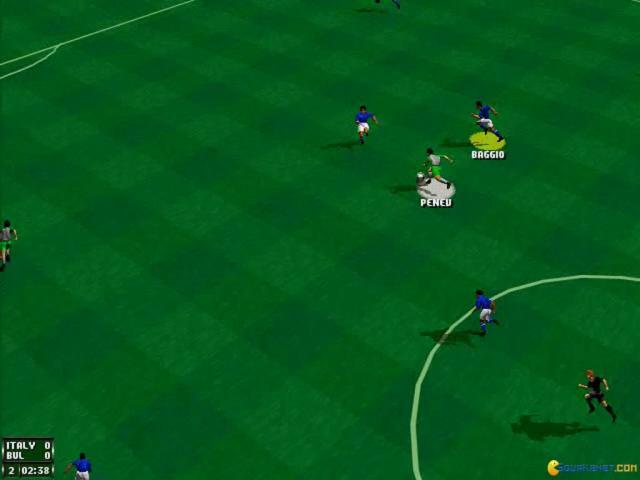 By the beginning of the second half of the 90s, soccer games had began to migrate en masse towards 3D environments, but at times the results were much poorer than the 2D games build isometrically. 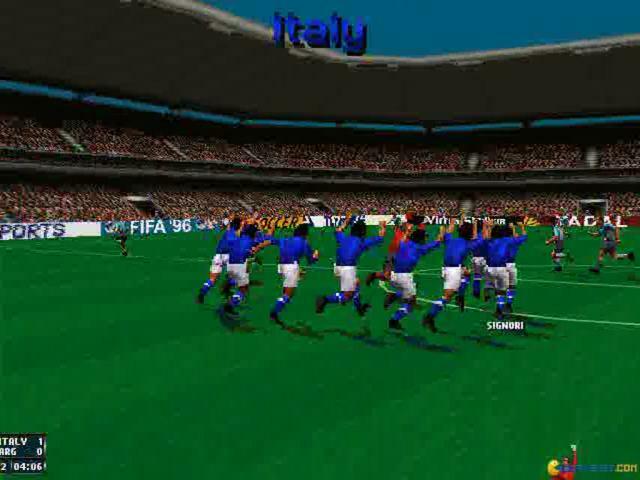 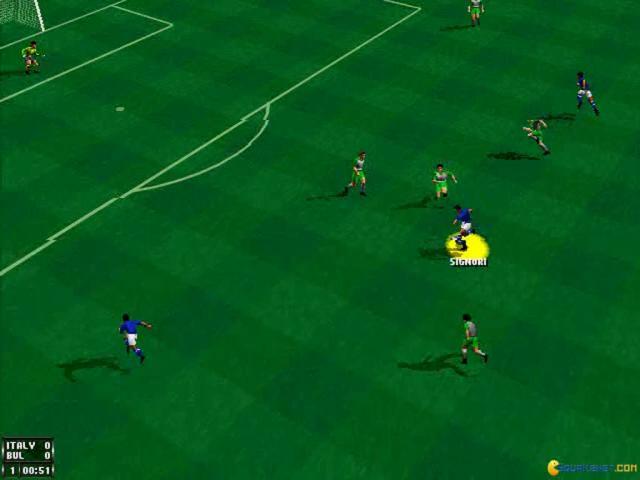 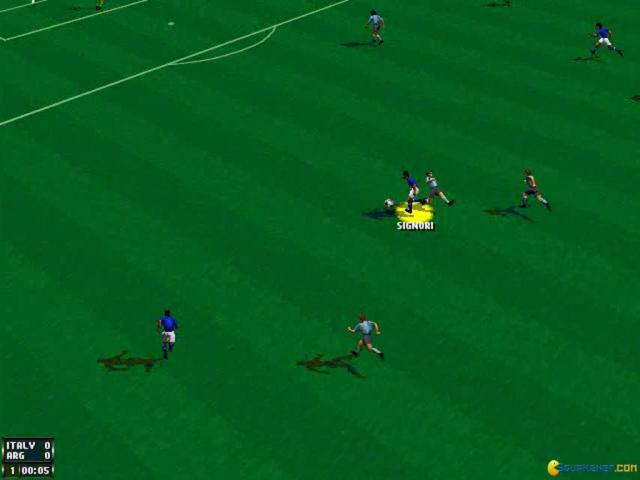 FIFA 96 is a good example of the type of problems inherent in this type of engine works: it is the rather poor render itself, with jaggedy animations; if the camera strolls over the field you are going to see each frame as if in a slide show. 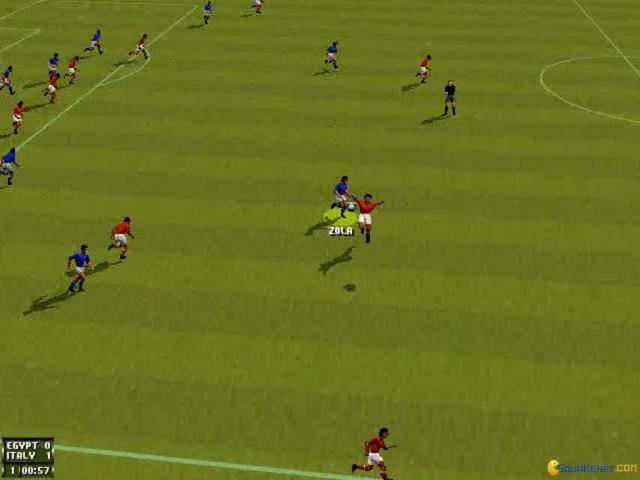 If the ball is passed, it doesn't seem to traverse space naturally, or as if guided by a set of physical parameters, but rather by a math equation that doesn't really seem to care too much about realism. 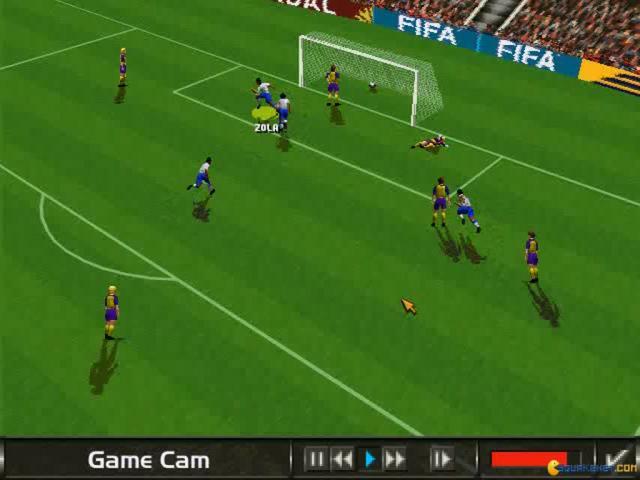 Furthermore, the camera will show the playing field from quite a distance, and the players at times appear too small. 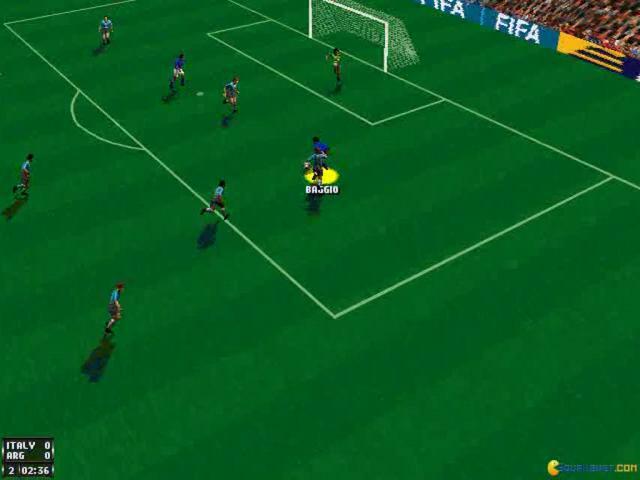 Couple that with a rather abysmal physics simulation and what you are left with is a poor game, graphically, simulation wise and thus fun wise. 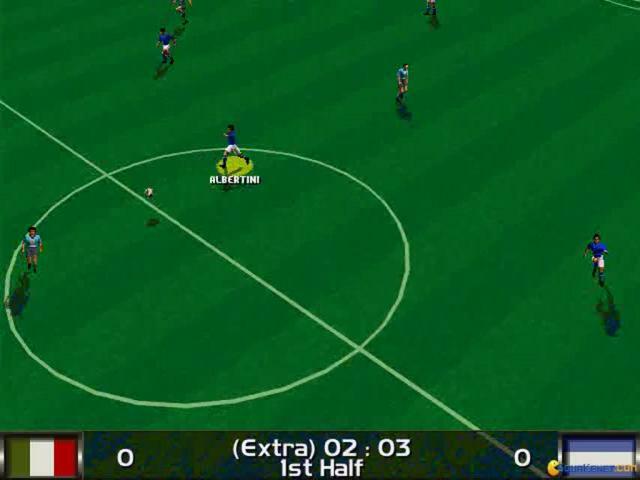 It might entice those that love to lurk through games that started a trend or were on the verge of modernism though they didn't really manage too good a job. 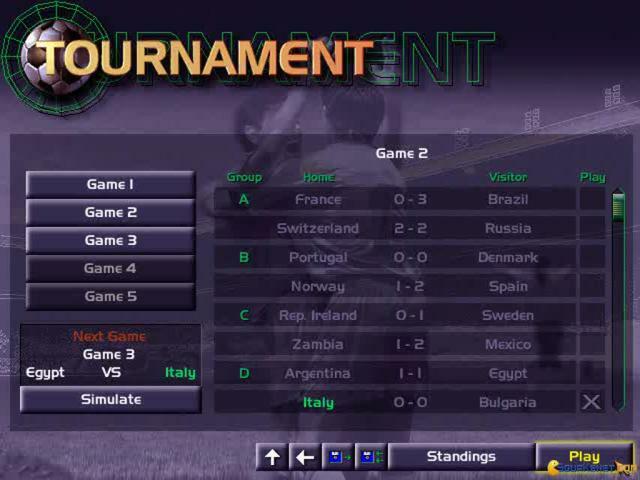 In any case the game is quite interesting being the second FIFA pc game produced by EA Sports, allowing you to play several soccer competitions, this time with real names. 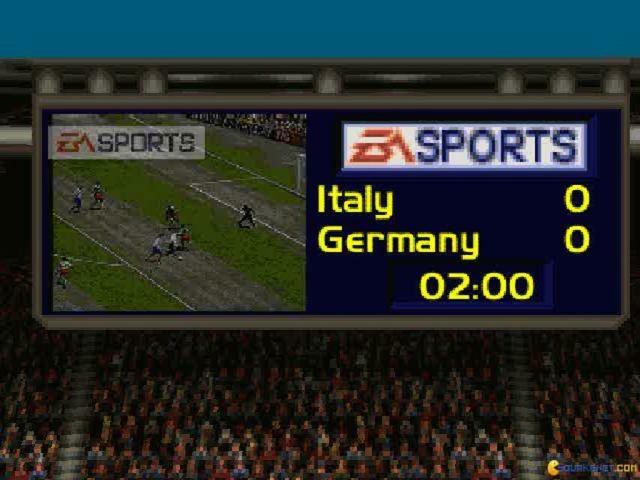 So you can play world cup, european championship and other national tournament. 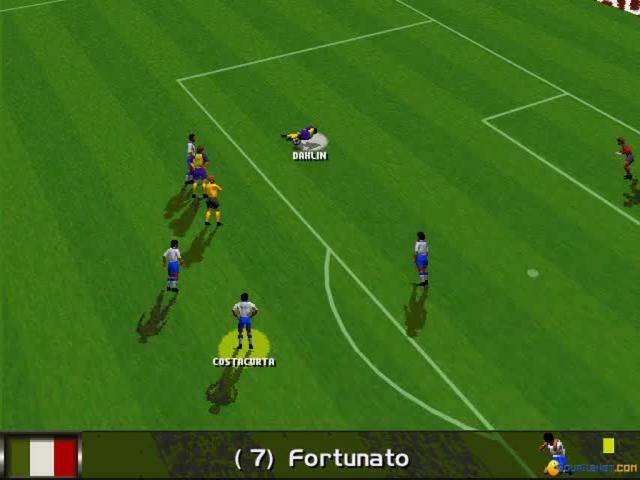 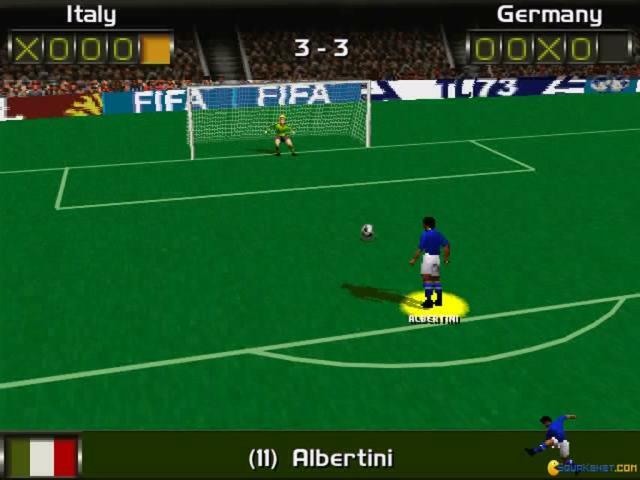 After one year of pause, EA in 1995 decided to publish the second of this that is one of the longest series of game, FIFA. 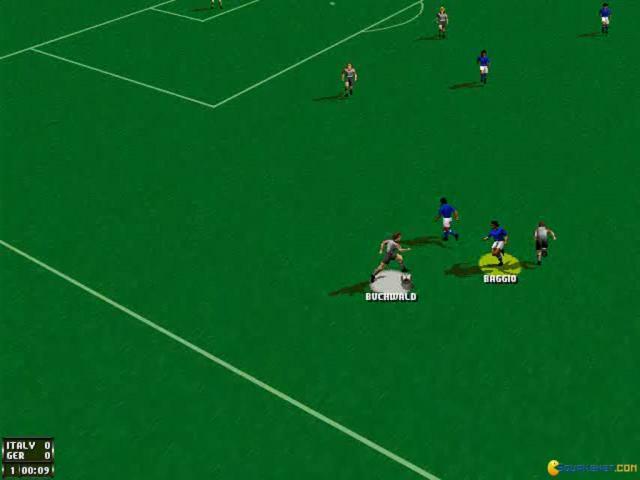 In 1994 the experiment of FIFA International Soccer was not followed for PC. 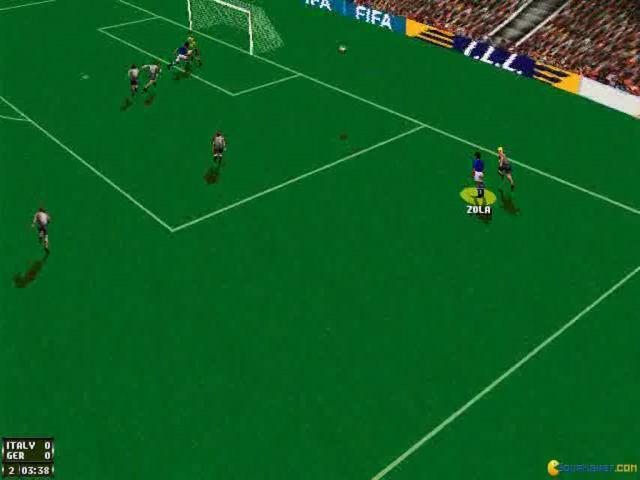 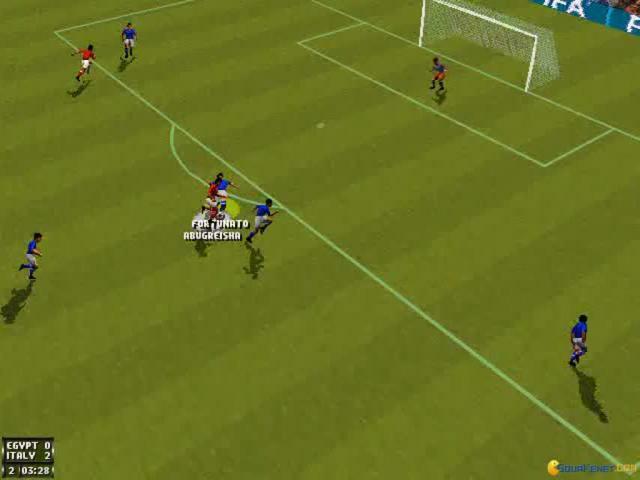 Fifa 96 has very good graphics compared to his first broter, the SVGA, in particular gave a good look. 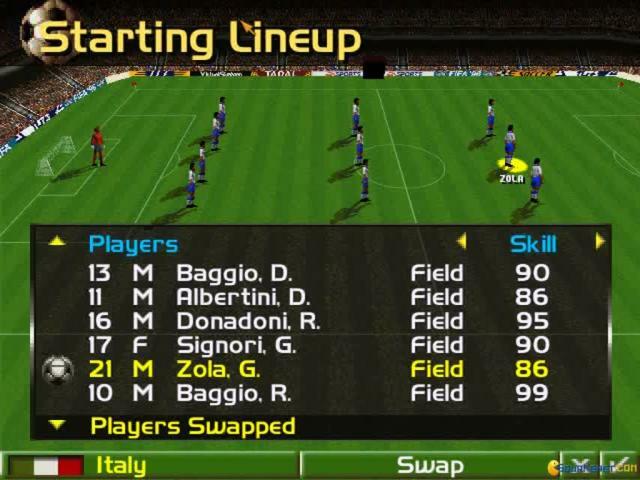 The game was very good for the time, even if the game simulation is a bit lacking. 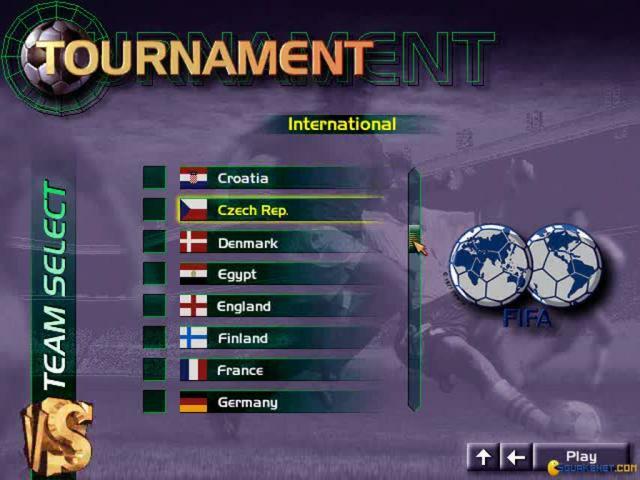 Anyway you can chose to play the most important tournament of that time with real names and teams (a jump in the past with this download).